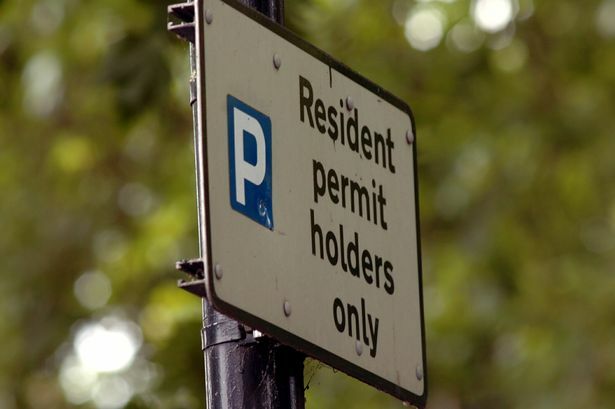 Motorists in Birmingham are being charged as much as £750 a year for a residential parking permit - the highest rate in the country, a survey has found. A poll of 433 UK councils found Birmingham and Manchester&apos;s charges were more than £300 higher than the £434 fee for parking in the upmarket London Borough of Islington. Solihull Metropolitan Borough Council has the nation&apos;s sixth highest charge at £275. The aim of the parking permit is to ensure spaces are available for residents. But Birmingham City Council has defended the £750 rate, saying it applies to selected high-demand areas of the city centre and charges are substantially lower elsewhere. The survey was carried out by Churchill Insurance which said the cost of residential parking was a &apos;postcode lottery&apos;. Head of Churchill Insurance Steve Barrett said: "Parking controls and permits play a huge part in keeping roads safe and clear as well as ensuring residents have priority over spaces surrounding their property. "Our research shows that parking permit costs vary considerably across the UK so we&apos;d urge motorists to factor this in when looking to purchase a new vehicle, especially if it is an additional vehicle." But the city council replied: "These figures simply show the highest cost but do not indicate average cost. "The £750 will be an annual charge for the city centre where parking spaces are at a premium and parking charges are higher; the annual charge will actually represent a significant saving. "It is interesting to note that this survey comes from a car insurance company whose premiums will be influenced to some degree by postcodes and local issues and circumstances."